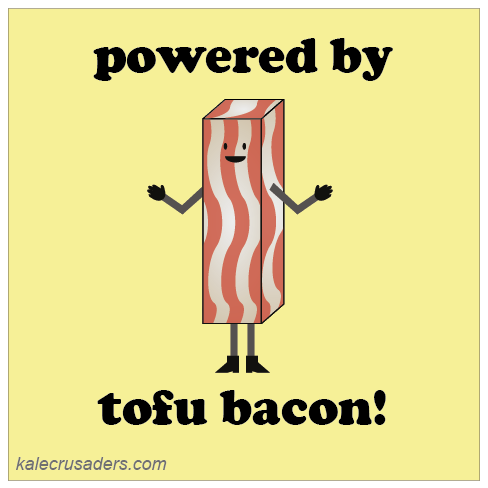 Can you believe that this is our first tofu post? We are not quite sure why but, regardless of the reason, be prepared to see more tofu during *Vegan Faux Show* because tofu is pretty talented. Byranna Clark Grogan's Tofu Bacon is a real standout; the recipe involves thinly slicing tofu with a cheese slicer and marinating for nearly a day!